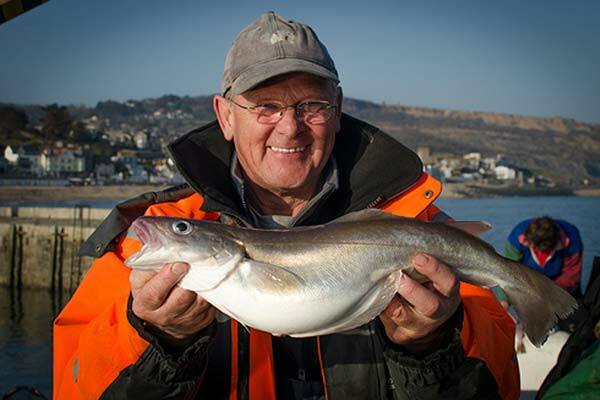 Lyme Regis is a great place to start your fishing trip. Anglers are often amazed at how quickly we can be at a good fishing mark after leaving the harbour! 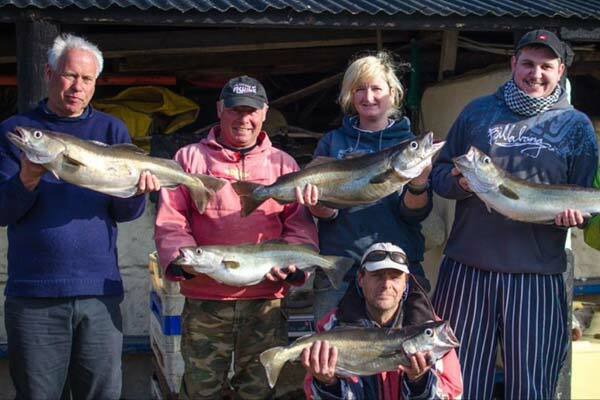 The fishing in Lyme Bay is varied and many different species can be caught. Rob, your skipper is a keen angler as well as working on one of the local fishing boats. At certain times of year he can be found commercially fishing for Bass with a rod and line. For the Novice angler, families or just for those that want a shorter trip why not try our 3 hour trips. £25 per person which includes rod hire, bait etc. Lyme Bay is good for a variety of fish because of the variety of wrecks and seabed conditions. 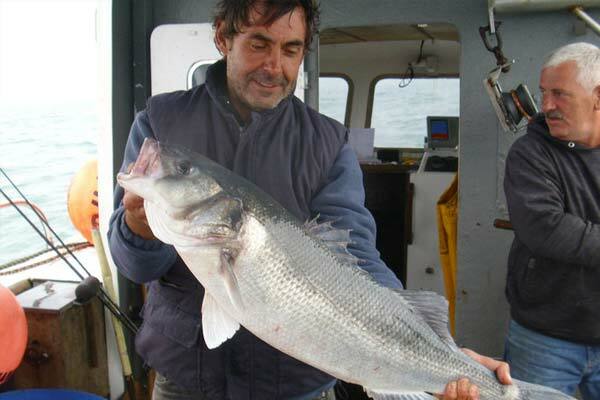 Depending on the time of year different species are able to be caught, with trips running all year round. Bass, Cod, Pollack and Pout are the main species taken drifting the wrecks. Bream, Whiting, Dogfish, Gurnard, Conger, Ray and Plaice are the main species taken at anchor. Mackerel come into the bay in huge numbers over the summer months. Other species that are around include Squid, Herring, Red Mullet, John Dory and Turbot. Rob, the skipper with his personal best bass of nearly 14 pounds. Caught whilst fishing off someone elses boat. After a days Pollack fishing for the LRSAC Pollack comp. No prizes this time but some nice fish around the 10lb mark. The winning Whiting in the 2014 LRSAC Whiting competition caught on Blue Turtle. A great source of information and top quality tackle is Lyme's tackle shop, The Tackle Box. They are always happy to give you advice and information. Want More Information On Our Fishing Trips?